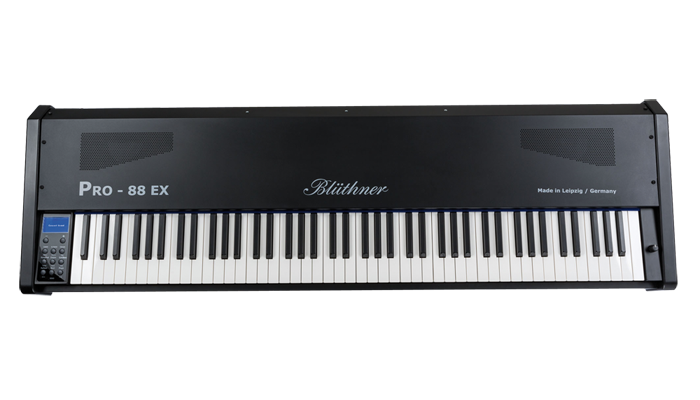 The brand new Blüthner PRO-88 EX is the next step in the e-Klavier PRO Series, offering impressive new sounds as well as expanded functionality and a modified case design. 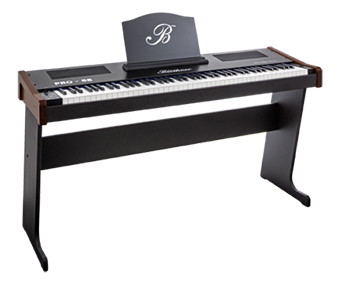 The Blüthner Model One concert grand has been sampled anew with our ALL-KEY-RECORDING Technology (A.K.R.). 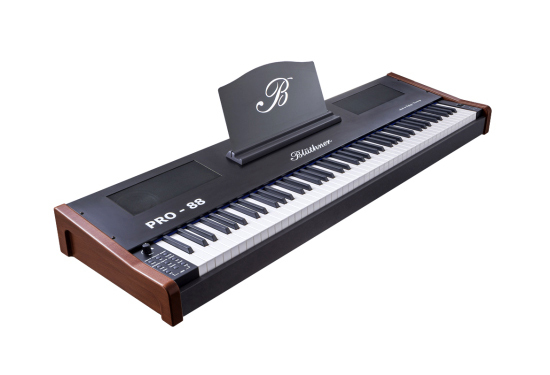 Analyzed note for note, the high resolution sounds have been implemented using newly developed Blüthner A.P.S. 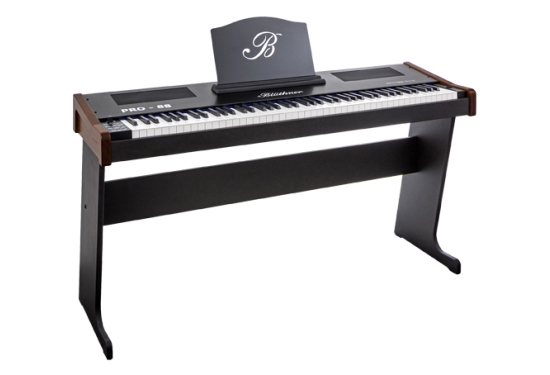 Technology (Acoustic Piano Simulation ®), stepping closer to the character of the Blüthner concert grand than ever before. The speaker coverage has been optimized, offering a wider dispersion. In addition to the typical stereo connections, the PRO- 88 EX includes CD/ MP3 Line IN (Stereo), 2x Line IN jacks for other instruments, volume, expression, and additional pedal connections, headphone jacks, an on/off switch for the internal speakers, MIDI jacks and MIDI USB. 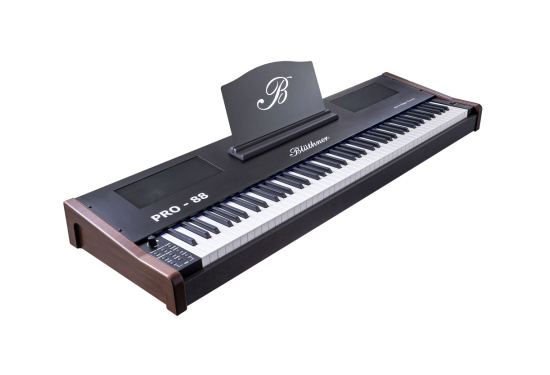 The Pro-88 EX Digital Control Interface concept is supported by an LCD display screen for clear navigation. 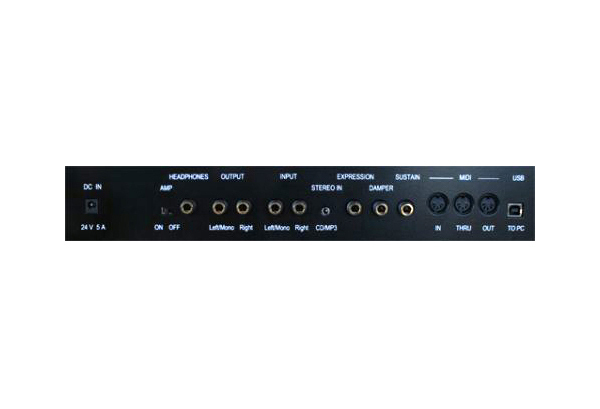 Set-ups such as Easy Mode, Performance Mode, User EQ, and Mixer allow quick access to the functions you need. 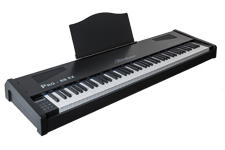 The internal "PRO-PLAYER" enables the Pro-88 EX to play and save songs with a USB stick in standard formats, including wave, MP3, and MIDI files.